Awards season is truly upon us. From the Emmys to the Oscars, the BAFTAs to the BRITs the best of the best of musicians, artists and actors are being honoured in glitzy, red carpet ceremonies. Christian artists are not alone. This weekend saw the 61st Annual Grammy Awards honour fantastic artists including Bethel’s Cory Asbury, Michael W Smith, Jesus Culture, MercyMe and more with nominations for two prestigious awards: Best Contemporary Christian Music Performance/Song and Best Contemporary Christian Music Album. So with such auspicious nominees, who could have pipped them to the post? Well, congratulations goes to…. 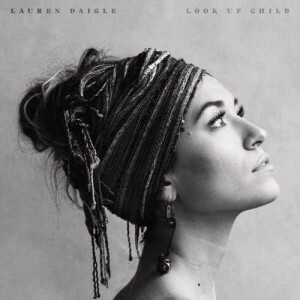 Lauren Daigle! Since it’s release in September, Look Up Child has dominated the UK Official Christian Chart (OCC) as well as being played on local radio and in UK supermarkets. Now it can proudly proclaim the accolade of ‘Best Contemporary Christian Music Album’. Daigle was also honoured with Best Contemporary Christian Music Performance/Song for ‘You Say’, beating firm favourite Reckless Love by Cory Asbury. Previous winners of Best Contemporary Christian Music Album has includes: Chris Tomlin, TobyMac and For King and Country. Huge congratulations to, Lauren! Look Up Child is available now.